Currently an estimated 1.1 million people in the United States are living with HIV. 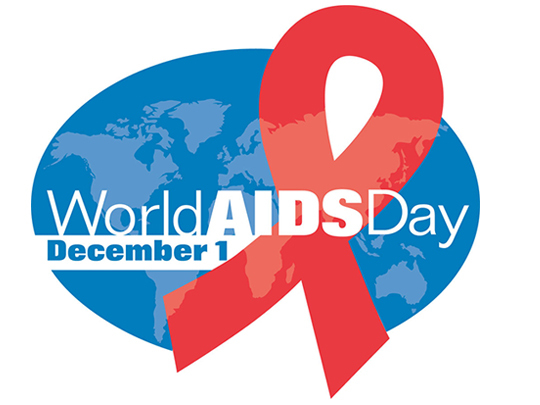 World AIDS Day (December 1), is a good time to reflect on some of the spectacular successes of NIH-funded science at reducing the impact of HIV, as well as how lessons learned in the fight against HIV/AIDS can be applied to other pressing health issues such as addiction. While laboratory breakthroughs toward developing new medications often get headlines, crucial advances in healthcare often involve developing new ways to enhance the reach of already-existing interventions. This year, a NIDA grantee at Yale University, Gregg Gonsalves, received a MacArthur Foundation ‘Genius’ award for his epidemiological work toward improving the public health response to HIV/AIDS. His work has helped develop methods to identify hot spots for HIV testing, assessed the costs of failure to implement harm-reduction measures, and studied ways to better retain HIV patients across the care continuum. His work also has application to the worldwide fight against other infectious diseases like tuberculosis and cholera. One of the most important fronts in the public health battle with HIV/AIDS is its overlap with addiction. Although anti-retroviral drugs have made HIV a livable condition for those who know their status and have access to care, HIV can be a greater threat for people who inject drugs. Injection drug use raises the risk of spreading the disease, and thus outbreaks are likely to occur—as for instance in Indiana in 2014-2015. Drug use can also make HIV symptoms worse by facilitating entry of the virus into the brain. Compounding these issues, people with drug addiction are often hard to reach through the usual prevention, screening, and treatment channels; and infectious disease treatment providers are often reluctant to treat people with HIV who inject drugs because of a belief that they won’t adhere to their antiretroviral medication regimen. This past August, The Lancet published the promising results of a study to improve outcomes for people with HIV who inject drugs and those they may share injection materials with. The study, which was co-funded by NIDA and the National Institute of Allergy and Infectious Diseases (NIAID) and conducted by NIH’s HIV Prevention Trials Network, followed 502 HIV-positive people and 806 of their drug-injection partners for one to two years in three countries with epidemic levels of HIV—Ukraine, Indonesia, and Vietnam*. Participants were randomly assigned either to the intervention group or a group receiving standard care, which consisted of referral to HIV and SUD treatment (methadone) and various forms of screening and harm reduction. The intervention group received personal guidance using a health care system navigator, who met with participants initially and over the course of the study to determine their needs and assist them in scheduling their treatment, filling out paperwork, and other challenges. The participants in the intervention group also received counseling combined with the same referrals for medication treatment for HIV and opioid use disorder. The intervention was highly successful: Those who received it were twice as likely as individuals in the control group to remain in treatment after 36 weeks and to achieve an undetectable viral load. None of the injection partners of those in the intervention group contracted HIV (compared to 7 in the control group), indicating its benefits for prevention. And mortality was significantly lower in the intervention group. The model used in this study is one that could be applied to other health issues where patients must navigate multiple systems of care. Public health experts have already recommended applying the continuum of care (sometimes called “cascade of care”) model that has proven successful with HIV/AIDS to the opioid crisis. The HEALing Communities Study now in development at NIDA as part of the NIH HEAL initiative will look at optimal mechanisms to guide opioid use disorder patients through the maze of medical and mental health support services needed to overcome their addiction—from emergency department intervention through treatment in the community or in the justice system if necessary, and with community-based support after treatment. The goal of the study is to reduce opioid-related overdose deaths by 40 percent in hard-hit communities in up to three states. Improving systems of healthcare delivery transformed HIV from a death sentence into a manageable—and perhaps soon curable—condition. Although these gains must be extended to harder-to-reach populations with HIV, using this approach to engage and retain individuals with substance use disorders in care may improve the prospects of recovery for people suffering from addiction and their partners. *More information on the Lancet study, including an interview with the Principal Investigator is available from NIDA Notes. NIDA. "World AIDS Day 2018." National Institute on Drug Abuse, 30 Nov. 2018, https://www.drugabuse.gov/about-nida/noras-blog/2018/11/world-aids-day-2018. NIDA. World AIDS Day 2018. National Institute on Drug Abuse website. https://www.drugabuse.gov/about-nida/noras-blog/2018/11/world-aids-day-2018. November 30, 2018.